If you are an MOE educator, Music Coordinator or Head of Department looking for NAC approved Guitar classes for your pupils, Advent Music would like to get in touch with you. We provide NAC subsidised guitar classes for MOE students in a music room or in a classroom, during school curriculum hours of music lessons, or after school programmes like enrichment courses or CCA. 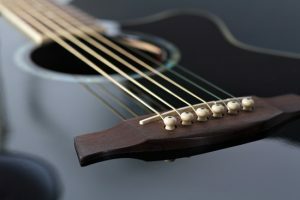 We provide qualified music tutors who are Art and Music Instructors Scheme (AMIS) certified to infuse quality life-skills into the pupils with our NAC guitar class. There are many ways to play a guitar – Plucking, Strumming, and Choking. We will allow students to stretch their limits to let them acquire the skills and styles to play a guitar. We firmly trust that this course will teach the students vital core values of teamwork, perseverance and discipline to develop their guitar skills.